We know how much time goes into planning a wedding so we want to make this as easy as we can for you. Choose a package based on your needs. We Want You To Remember This Forever. 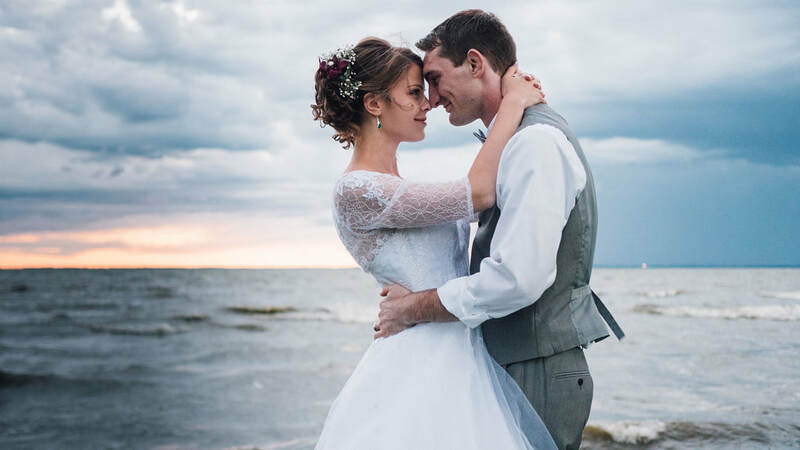 We've been creating wedding videos since 2013 for couple's all across Wisconsin. We enjoy it because we get to play such a big role in the bride & groom's big day. We've traveled with them in party busses, made them laugh on camera, and often get asked to stay after to celebrate. By the end of the night, it's pretty hard not to hit the dance floor with you! We believe having a high-end wedding video is an important investment. It may even be one of the first big one's you'll make as a couple. Yes, you need photos and a great photographer to capture your day, but the photos only help you reimagine your big day. The video allows you relive it! We focus on having a lot of fun and telling your story in a cinematic way. When your friends & family watch your wedding highlight reel, they won't be just reliving your day — they'll be learning about your love, too. This is for the bride & groom who are on a budget, but still want to relive their day. You'd be amazed at how many adorable moments we can fit into a 2 min. video. This is for the bride & groom who want the ceremony and reception covered. It's the perfect size video because most songs are this exact length. This is for the bride & groom that doesn't want us to miss a moment! It give's us enough time to add all the little details into the video and truly tell your story. "Mirrorless Productions captured all of the joy and emotion of our wedding day perfectly. We loved working with Alex as he is professional, personal, and very creative. Our experience with Mirrorless Productions was worth every dollar and we'd choose them again in a heartbeat!" We want to know what you imagine your wedding video looking like? What do you believe your budget is? What are some must-have shots? What type of music do you like? Knowing the answers to those questions will help us capture you the way you'd like. Please answer them in the form below, and let's get to know one another. We're about to have a lot of fun.